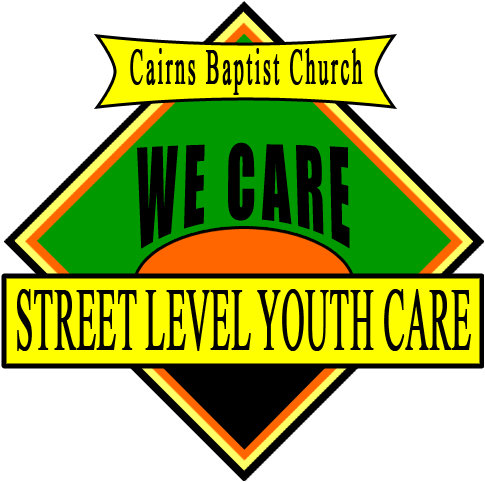 Street Level Youth Care is made up of Christian Volunteers. We see the problems of our street kids (homeless or otherwise) as a community issue. Rather than relying on Government Hand-outs, we are raising our own support from Churches and through private sector involvement, including individual involvement. We are working towards a local solution by providing food, shelter (as far as our resources permit), clothing, advice and friendship and by bringing the reality to the whole of the community. SLYC exists to assist young people in need, providing food and other emergency services, general care and through promoting in them a sense of self-worth and guiding them in a positive direction. Our policy is to be non-judgmental and non-discriminatory, working within personal relationships based on Trust and mutual Respect. To be effective in this ministry, we train and deploy volunteers to make contact with and assist young people in need, on the streets and in their related environments. We seek the integrated involvement of the whole community. 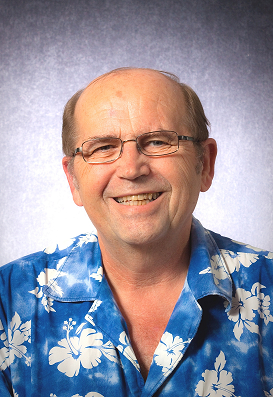 Demonstrating the love of Jesus Christ through action and proclaim the Gospel as the opportunity arises. To look out for young people in need and make contact with them in order to determine their specific needs. Providing food and clothing, first aid and counsel as needed. Supporting the disadvantaged young people no matter what their circumstances are. Keeping in contact with the youngsters even should they finish up in Juvenile detention or in prison. Reunite young people with their families or at least encourage better communication. The Founder of Street Level Youth Care was Dr Harald Falge who was a Chiropractor in Cairns. Harald and his wife, Sally were blessed with three children and a number of grandchildren.In 1991 whilst Sally and Harald were taking their children on a regular walk along the Esplanade, they were astounded to see the amount of 21 and under children and youth roaming around the night without supervision. There were a lot of muggings, break and enters and children prostituting themselves in order to get food or shelter. There were those that felt a kick up the behind might help, but the issues go far beyond that. There were a couple of agencies that provided very limited shelter and other services, however, they only worked office hours. There was no service after hours, weekends or public holidays that could provide food and blankets etc… There had to be a solution to eliminate crime for food.Harald, Sally and the family discussed the situation amongst themselves and with members of the Cairns Baptist Church. It was decided that they would set up an outreach to meet the needs of the street kids. However, they were unsure on how to let them know of the service. The day after the decision was made, Harald was approached by his secretary as there was a street kid in the surgery who had no money but had back pain and wondered if Harald would treat him without charge. Harald agreed to treat the boy and whilst he was in there Harald told him what he wanted to do. The street kid was excited and then informed other street kids of being able to get a meal, and so in 1991, Street Level Youth Care started.The family started cooking and would take the food down to the Esplanade. The church also started cooking meals to make them available to the children/youth on the streets. They were all eagerly waiting for their meals. Initially, they were feeding the children/youth on Thursday, Friday and Saturday nights, and in November 1991 this was increased to seven nights a week.We then started getting volunteers one at first then a few months later there was another one and so it continued.